A visit to Faaborg Museum can be a varied experience. As well as enjoying the art and the colourful architecture, you can also take part in lots of family activities. While the Museum is a manageable size it is also a labyrinth full of surprises. Experience the domed gallery and the winter garden, see lots of paintings and play outside in the garden. 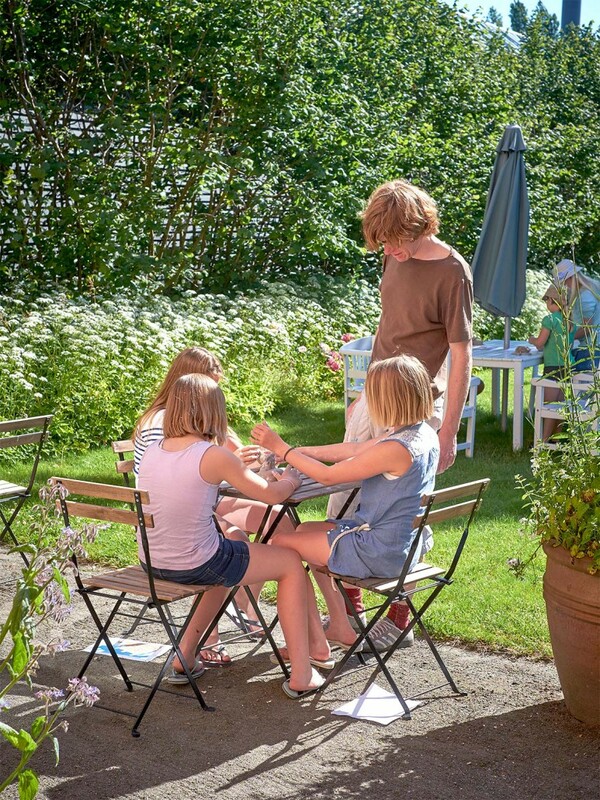 On a visit to Faaborg Museum, children can go on a treasure hunt. Ask for information at the entrance desk and explore the Museum to discover clues hidden in the paintings. Solve the puzzle and win a little prize. In the café you can borrow an exciting art kit – it contains gloves, drawing pad and crayons, plasticine and other interesting items. See and experience art and be an artist for a while. In the café there is a drawing inspired by the Museum’s mosaic floor. Draw your own fabulous creatures or find your way out off the mazes designed for the Museum by the architect Carl Petersen. You can also draw your very own maze.